Textile Asia trade exhibition is the most promising and enduring biannual textiles industry show in Pakistan to be held at Lahore Expo Centre, from 8-10 September 2018. 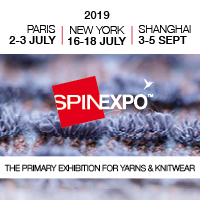 The exhibition aims to focus on the immense buying selling potential of textile and garment machinery, clothing textiles accessories, textile raw material supplies, textile dyes chemicals, embroidery machines, power and air compressors for textiles industry and textile allied services. The event is being organised at the most opportune time when the government is looking forward to modernise and upgrade the textile sector of the country for the better quality products and enhanced productivity, organisers report.